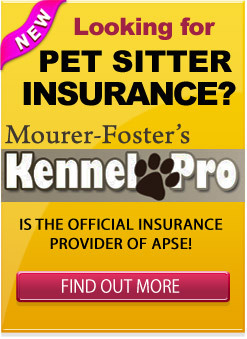 1) Google the pet sitting business to find their website. You can tell a lot just from first appearances here. Does their website appear professional? Does it give you the information you need about their services and rates? Do they list their professional affiliations to pet sitting associations and tell you about their credentials and certifications? Are you are comfortable with their business policies? Is there an easy way to contact them for more information? 2) Take a look at their Facebook pet sitting business fan page. You should find a link to this page from their website. The social nature of a Facebook fan pages gives the pet sitting service owners and staff a chance to interact with their clients on a more personal level than they can at their website. Take a look at the info they post and see if they post regularly. From watching conversations you will be able to judge how they interact with fans and customers. Better yet – join in the conversation and post comments or questions on the fan page so that you can get to know the pet sitter and build a relationship even before you contact them or meet face to face. 3) Sign up for their client newsletters. 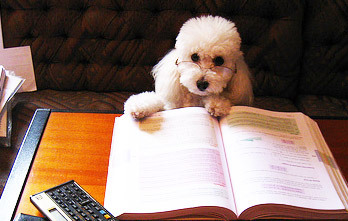 Many pet sitters keep in contact with clients via a regular monthly online newsletter or e-zine. They will have a sign up box on their website where you can subscribe to receive the newsletter when it is distributed. In each newsletter you will typically find updates about changes to their pet services, discover helpful info about the service, and find useful pet articles or information about pet events. 4) Check out online review services. Look at online review services such as Google Places, Yelp and Angie’s List. Here you will find unbiased testimonials posted by clients of the pet sitting service. In today’s internet world there are no excuses ensuring that you make the right choice when choosing a pet sitter to trust to care for your pets. Do your due diligence so that you can enjoy your trip and know that your pets are in good hands. 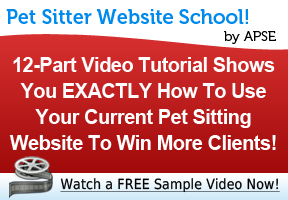 With the popularity of the Internet, you should have no problem finding unbiased and insightful information on any pet sitter you are considering hiring. If you are a pet owner, we’d love to hear from you. Let us know what you value and may consider a “deal breaker” if you spot online. Great article! pet sitting is such a personal service, that its great when clients and their pet sitter can be active in each others lives!